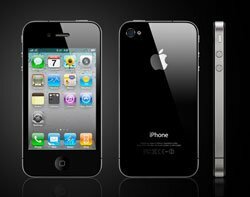 Several IT security firms have warned that a newly discovered vulnerability in Apple's iOS, which runs the iPhone, iPod Touch and iPad, could allow hackers to take control of these devices. The flaw could allow hackers to take complete control of a vulnerable device, according to security firms Symantec, Lookout and Vupen. But attackers would have to trick a user into visiting a website containing a malicious PDF document to succeed in infecting any of the mobile devices running iOS. Apple has said the company was aware of the report and is investigating, according to Reuters. The security firms said they were not aware of any incidents in which criminals have exploited the vulnerability to gain control of an Apple device. But they said Apple has yet to offer a way of protecting against such attacks.